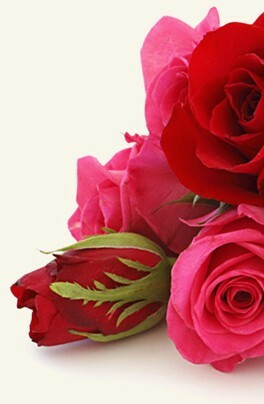 Login to my flowers4oman.com account to track the status of your order or visit our customer service page. 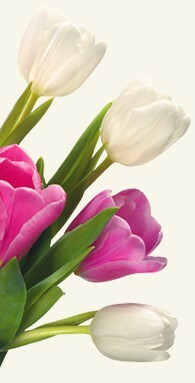 Login to my flowers4oman.com account to modify your order or visit our customer service page. All changes must be 24 hours before delivery. After that time, we cannot guarantee there will be enough time for the changes you request. At Flowers for we only use the very best in security for our online payments. We use PayPal for our online payments and as one of the largest payment processors in the world their security is top notch. flowers4oman.com keeps customer information completely confidential. Our company does not share customers' personal information for third-party use or sell it to advertising agencies. In the event of a legal requirement, fraud, or law-enforcement request, your personal information may be shared upon request from the relevant authorities. The delivery costs are: Central Muscat Al Khuwair 10.00 USD, Central Muscat Al Qurum Heights 10.00 USD, Central Muscat Darsait 10.00 USD, Central Muscat Madinat Al Sultan Qaboos 10.00 USD, Central Muscat Mina Al Fahal 10.00 USD, Central Muscat Qurm 10.00 USD, Central Muscat Ras Al Hamra 10.00 USD, Central Muscat Shati Al Qurm 10.00 USD, East Muscat Corniche 10.00 USD, East Muscat Kalbuh 10.00 USD, East Muscat Matrah 10.00 USD, East Muscat Mina Qaboos 10.00 USD, East Muscat Old Muscat 10.00 USD, East Muscat Ruwi 10.00 USD, East Muscat Wadi Kabi 10.00 USD, East Muscat Wuttayah 10.00 USD, North East Muscat Al Azaiba 10.00 USD, North Muscat Al Amirat 10.00 USD, West Muscat Al Ghubrah and Ghala 10.00 USD, West Muscat Al Seeb 10.00 USD, West Muscat Bawsher 10.00 USD, West Muscat Bawsher Height 10.00 USD, West Muscat Hail 10.00 USD, West Muscat Khoud 10.00 USD, West Muscat Mabela 10.00 USD, West Muscat Mawalah 10.00 USD, West Muscat Rusail 10.00 USD and West Muscat Udhaybah 10.00 USD. How do I contact flowers4oman.com customer service if there is a problem? Use my flowers4oman.com account to access your account and contact customer service. Alternatively, call our customer service department.